In the commercial real estate business, the prospecting process can often be exhausting and time-consuming. Now, a new tool is helping to shorten the prospecting process. Brevitas was founded based on the idea of providing an exclusive marketplace for the acquisition as well as the disposition of assets within the commercial real estate realm. Designed specifically for owners, brokers, and principals whose needs are not currently met by traditional methods for buying or selling CRE, Brevitas functions as an international platform. With Brevitas, users are not limited in terms of geography when it comes to obtaining commercial real estate listings. 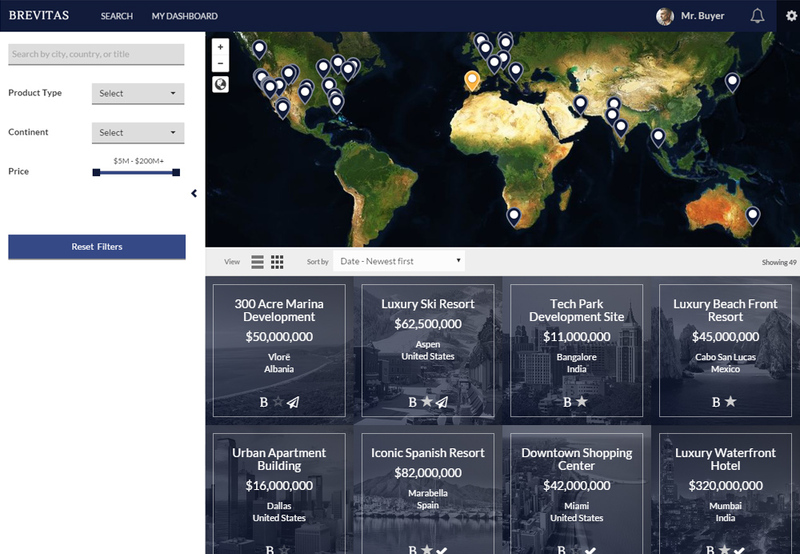 Access to literally thousands of private international commercial real estate listings is provided. Users are also able to take advantage of direct to ownership opportunities. Sellers on Brevitas include syndicates, REITs, developers, investment firms, and brokers. Additionally, Brevitas will assign each user a personal account executive who will assist with anything that users may need. Users who are concerned about possible data security will be pleased to know that Brevitas ensures private information is kept completely secure. Only members that users choose are able to access personal information. As a result, users can rest assured that their data will never be shared with any unauthorized third parties. The presence of a cloud-based dashboard gives buyers the opportunity to manage all of their interactions in a single location. Whenever a new listing enters the marketplace that meets a buyer's investment criteria, they are able to receive an instant notification, thus ensuring they never need to worry about missing out on a prospective deal. Sellers are also able to benefit from a full suite of robust features included on Brevitas. For instance, a cloud-based seller dashboard makes it possible for sellers to manage all of their sales interactions in a single convenient place. Analytics and notifications are provided to give sellers the ability to track interactions, thus making it possible to move more rapidly through the due diligence process. Brevitas also offers a secure agreement execution that makes it possible to execute confidentiality agreements instantly using Docusign eSignature. With the document lockbox feature, sellers are able to maintain due diligence documents in one place while also controlling who is given access to those documents. A proof of funds feature gives buyers the opportunity to upload proof of funds evidence, which can make it easier and faster to close transactions. Overall, Brevitas provides a number of features that make it easier for both buyers and sellers to leverage the current marketplace. For instance, since Brevitas is mobile-optimized, users are able to search for investments even if they are on the go. The proof of identification makes it possible for users to improve their profile security level when they confirm their ID online. Users are asked to provide a proof of funds or bank letter to provide proof of investment capacity, ensuring that sellers do not waste their time.